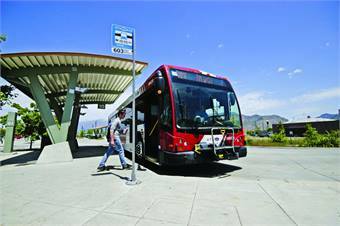 SALT LAKE CITY — Taking up the challenge by a group of citizens, three Utah Transit Authority (UTA) board members are taking part in the #7DayUTAChallenge, which requires them to only use public transportation for one week straight, reported Fox13. The citizens behind the challenge plan to attend the next board meeting later this month and ask those board members who participated what they learned. For the full story, click here.